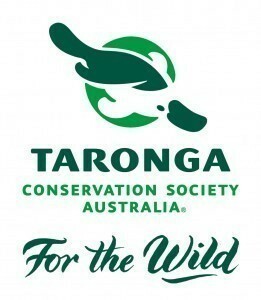 At Taronga Conservation Society Australia (Taronga), we believe that wildlife and people can share this planet. We believe in a world where wild species can make a comeback. And we believe that for this future to become a reality, one species must lead us there… ours. Taronga is a not for profit and operates two zoos, Taronga Zoo in Sydney and Taronga Western Plains Zoo in Dubbo. We have cared for animals for over a century. Our Zoos create experiences and programs that inspire lasting connections between people and wildlife. Taronga is involved in a wide range of conservation activities in Australia and globally and makes a significant contribution to reverse the decline of endangered species. From breed and release programs for native Australian species to conservation partnerships around the world. From scientific research to educating children and adults at our Zoos and in the community, Taronga positively impacts wildlife, people and the natural environment. Taronga has exceptional expertise in all areas that contribute to our ability to provide support to wildlife conservation. For years, we have been transforming our two zoos into conservation hubs and tell the story of healthy ecosystems, habitats, wildlife and communities across the globe. Taronga recognises the need to develop conservation partnerships with like-minded organisations, community groups and conservation experts in order to reduce the threats to wildlife, to protect and regenerate habitat and increase understanding of and engagement with wildlife within communities. Taronga supports field-based conservation programs, species recovery programs, develop conservation science projects and inspire community action. From protecting species in the wild to helping save and regenerate natural habitats; from working with local communities to reduce conflict with wildlife to assisting in the development of alternative livelihoods for local communities, Taronga support to wildlife conservation is multifaceted. During the 2015-16 financial year, Taronga has led and supported 33 field conservation programs, 13 recovery programs, 34 conservation science projects, and five behaviour change community campaigns. These projects are taking place in Australia and around the world and will help protect the habitat, health and safety of many difference species. 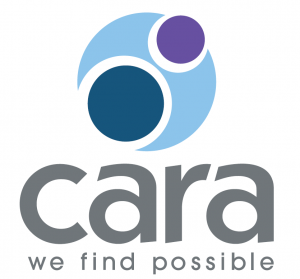 Click here to find out more about Taronga’s people and organisation. When you choose to leave a gift to Taronga in your Will, you are pledging to help us look after our animals at Taronga and Taronga Western Plains Zoo. You are also helping to ensure a future for native and exotic animals for generations to come through our conservation programs. Your gift, however large or small, helps us continue to care for our animals for generations to come. Taronga has cared for animals for over 100 years. As well as providing the very best care for our zoo residents, we have always accepted injured and sick native wildlife. We built the first wildlife Hospital in Australia and currently our two Hospitals (Sydney and Dubbo) care for and treat around 1,200 animals each year. If you choose to remember us in your Will, we hope you will join our Friends of the Future legacy club. Membership is open to everyone who has left Taronga a gift in their Will, and enables us to acknowledge your gift of a legacy during your lifetime. As a Friend of the Future you will receive invitations to special events, updates on what’s happening at our Zoos and acknowledgement on special occasions. We recognise your legacy with a plaque at our Partners in Conservation Gallery near Taronga Zoo’s top entrance. Naturally, we respect your wishes if you prefer your gift to remain anonymous. Of course, whether or not you choose to join Friends of the Future, your privacy is respected at all times. All donations of $2 or more and fully tax-deductible for Australian residents.